Old Pueblo Masonry in Tucson, Arizona is a wall and mason builder since 1992. We build Retaining Walls, Pavers, Fireplaces, Stone walls, Block Walls, Stucco Walls, Slump Block Walls, Brick Pavers and Barbeques. Welcome to OLD PUEBLO MASONRY, Inc.
A+ rated with the BBB. Licensed, bonded and insured. R.O.C. # 110593. Thank you for visiting our website and taking the time to contact us through e-mail or phone. Our office hours are currently 9 AM - 1 PM . If you don't reach us during those hours, please leave us a message, and we will get back to you. We are a very busy business with limited employees and resources. We do NOT give quotes over the phone, simply because we cannot quote what we cannot see (our mission statement gives further explanation). We will NOT do walls that are less than 40 feet long, nor do we repair, and/or add courses (height) to existing walls.. We simply do not have the resources. Again, thanks for visiting OldPuebloMasonry.com. Please view our extensive portfolio pages to see photos of our completed masonry projects. 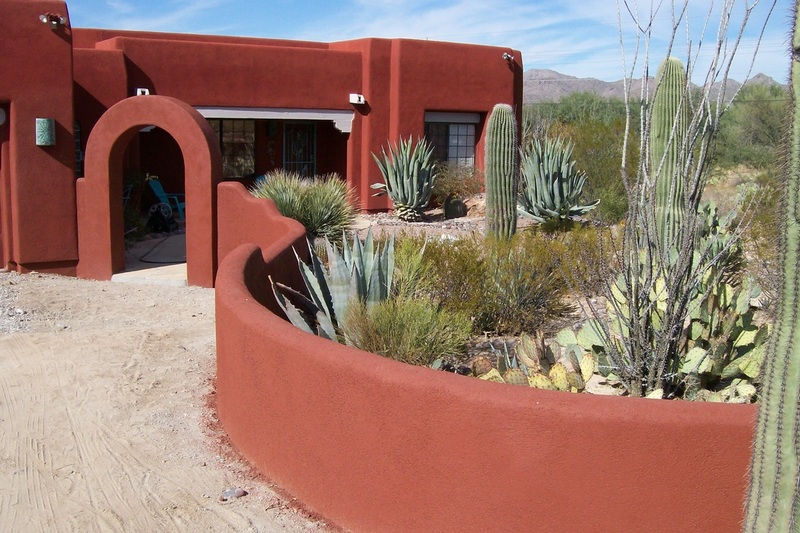 We are Tucson's BEST residential masonry company! We build patio walls, block fences, retaining walls, stucco walls, wrought iron fences, cultured stone walls, slump block walls, various sized block walls, columns, brick pavers (clay & CMU), and specialize in masonry. Old Pueblo Masonry has successfully served the Tucson area since 1992, and we continue to thrive despite the economic down turn. We are a stable company, and we will be around in the future to help out homeowners who are looking to beautify their homes. 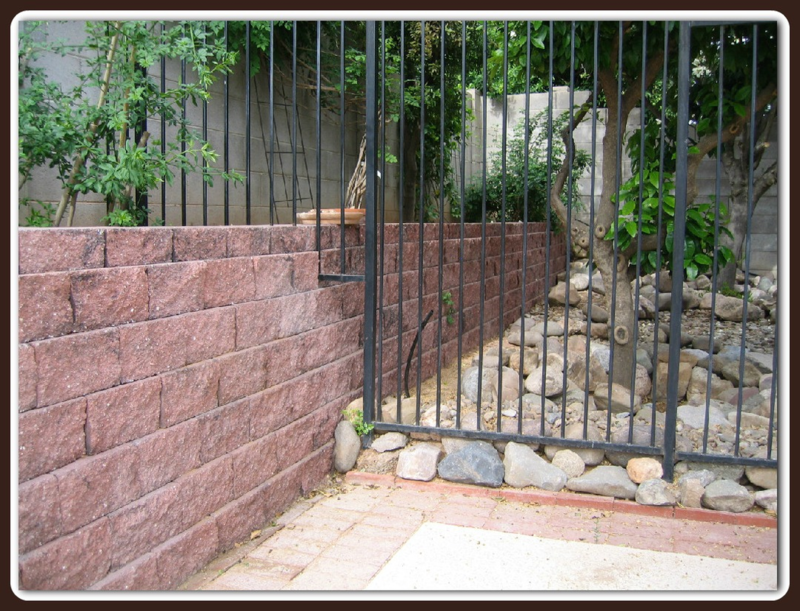 Old Pueblo Masonry is a company built on providing a quality block wall that is affordable, and we do it in a professional atmosphere. We offer our customers a variety of walls to choose from: block walls in several sizes, textured walls or split face, stucco walls, stone walls, slump block walls, block wall fences, and retaining walls. Our retaining walls are built to specific engineering specs. See our extensive portfolio of photos and read our customer comments. We have a long history of satisfied customers! 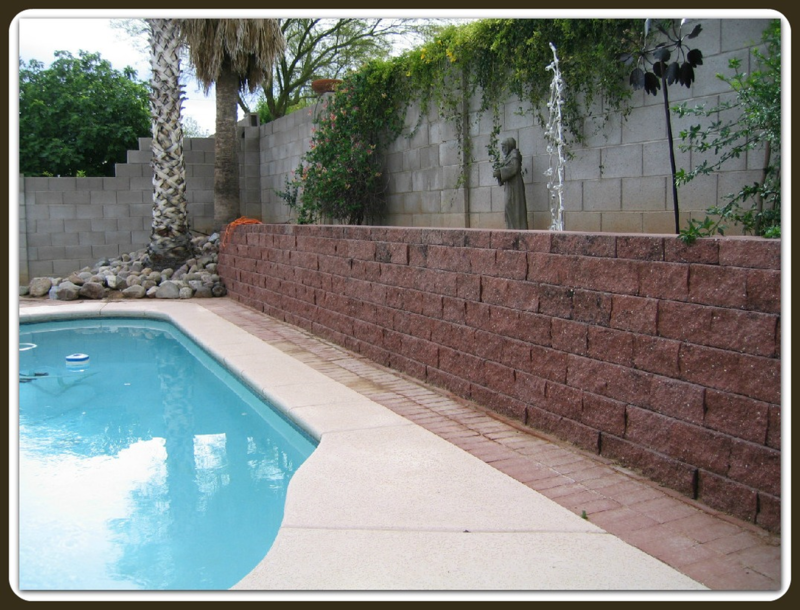 Old Pueblo Masonry is your residential masonry specialists including fence block, slump block, brick pavers (clay & CMU), outdoor fireplaces, and BBQ's. We can help you design your outdoor hardscape. 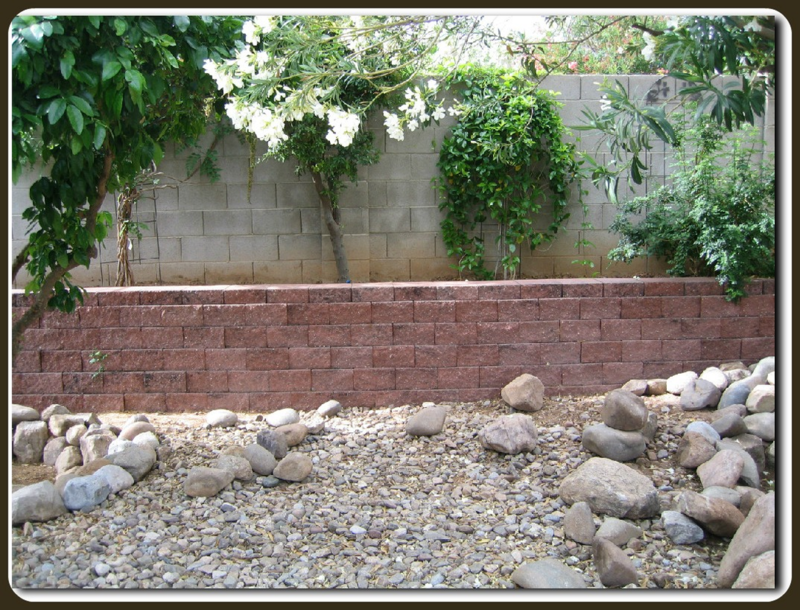 Old Pueblo Masonry is a family orientated masonry company. We specialize in residential work primarily for homeowners. Since we are homeowners ourselves, we understand the importance of your decision as well quality, reliability, and value is when investing in our homes. We also want you to make an informed decision about the block wall project you'll be doing. Call Old Pueblo Masonry today at 520-749-0506 or 520-749-5527 for the opportunity to assist you and for your FREE estimate. Old Pueblo Masonry is licensed, bonded, and insured. Anyone licensed in Arizona and who advertises anywhere, MUST include their R.O.C. number in their advertising. A masonry license indicates that the state has certified the contractor as qualified to build masonry walls. A license also makes the contractor responsible to the Arizona Registrar of Contractors for the quality of their work. You may not be able to find an unlicensed person after the construction of your wall, but you can always contact a licensed contractor through the Registrar in Tucson, Arizona at 520-628-6345. One phone call to the Registrar will also tell you if your contractor has a current license or any complaints. We encourage you to contact them, as well as the Better Business Bureau in Tucson, Arizona at 520-888-5353. We have the highest possible rating with the BBB, an A+. 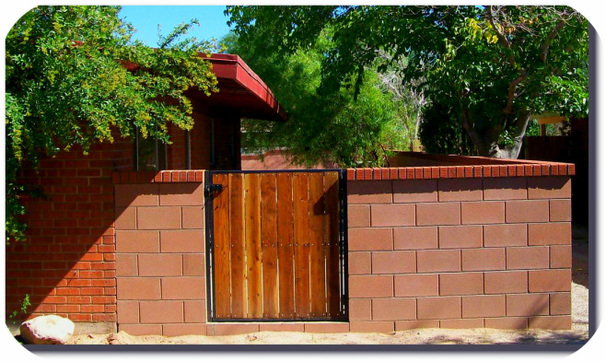 Our block supplier in Tucson is Central Arizona Block located at 6030 S. Mann Ave. Tucson, AZ. (520) 514-1177.